Human Statue Bodyart is Australia's leading bodyart, human statue and creative services company. The company was established in 1997 and has worked on many of Australia's most dynamic and creative media and marketing campaigns. Welcome to the official web blog for Human Statue Bodyart. We have been providing bodyart, bodypainting and human statues for Australia, New Zealand, Europe and the United States for over 10 years. Eva Rinaldi is the lead creative artist at Human Statue Bodyart. Human Statue Bodyart is based in Sydney, Australia. Welcome to the Human Statue Bodyart blog. 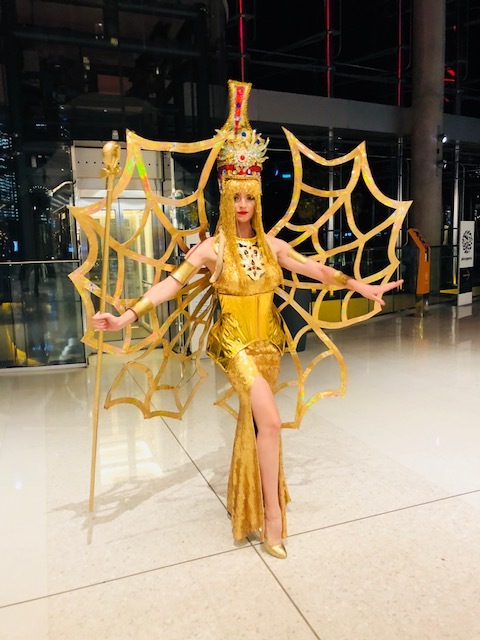 Human Statue Bodyart has been creating bodypainting and bodyart for over ten years and is one of the top bodypainting companies in the Asia Pacific. Based in Sydney, Australia, and delivering event, media and marketing campaigns across the globe. Keep checking our blogs for updates. Welcome to the official web blog for Human Statue Bodyart - Australia's leading bodyart and bodypainting agency. Contact Eva Rinaldi and her team today for more information on how bodyart and bodypaint can assist your brand identity. What kind of brands, companies and individuals can benefit from Human Statues, bodypainting, bodyart or temporary tattoos?